shape is long and narrow. The infusion is very light jade green. 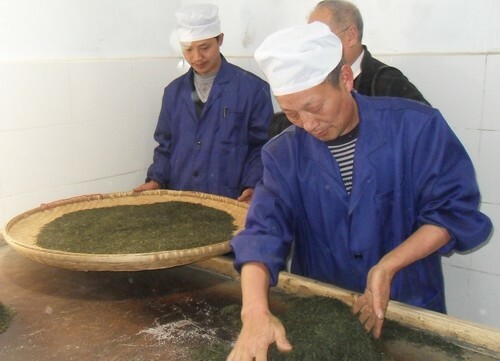 EnShi YuLu is a very unique tea that originates from En Shi Cityof Hubei province. 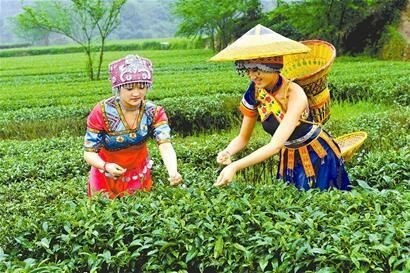 Situated in the southwest region of Hubei Province, Enshi Tujia and Miao Autonomous Prefecture is bordered by Chongqing in the north and west, Xiangxi Tujia and Miao Autonomous Prefecture of Hunan Province in the south and in neighborhood of Shennongjia Forest Zone in the northeast and Yichang City in the east. The prefecture bears a subtropical mountain climate distinctly influenced by monsoon. Weather there is humid and moderate all year round. Enshi is seldom bothered by extreme heat in midsummer and chilliness in midwinter. It is usually foggy and rainy. 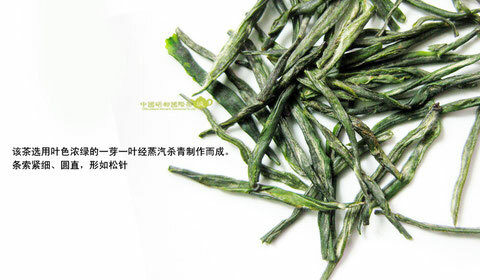 This is the Chinese green tea that most resembles Japanese green tea. The en shi yu lu leaf appearance is similar to sencha and the steaming process is very similar, but definitely not quite the same. 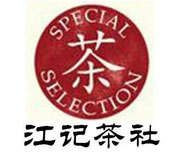 It is a rare Chinese green tea that is processed using steam method. 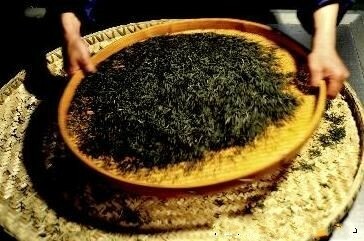 Steaming is quite popular in green tea by Tang dynasty(Tang dynasty, steaming died out, farmers in China use pan-fire technique instead), then the technique is learnt by Japanese and they made the sencha. 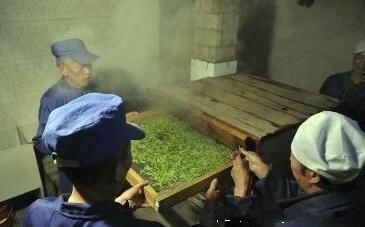 The first step in processing green tea is to steam the freshly picked leaves. This destroys the natural enzymes necessary for fermentation. The steaming not only helps to preserve the leaves' natural oils and important natural antioxidants, it also helps to soften the leaves , making them more pliable. After steaming, the leaves are rolled or twisted, which forces the cellular structure to break down so that they will release their aromatic juices when brewing occurs. A second gentle heating, also called firing, reduces the water content further, to 3 percent moisture. Repeatedly heating the leaves causes them to dry slowly. 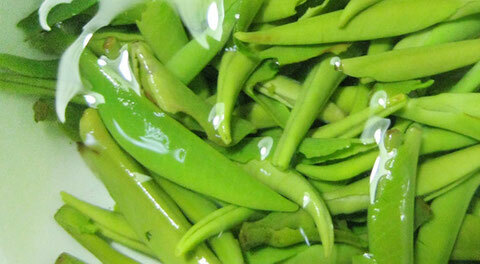 The name "jade dew" refers to the pale green colour of the infusion. leaves are long and narrow, the cup is bold, strong, complex with an extremely powerful vegetal scent. 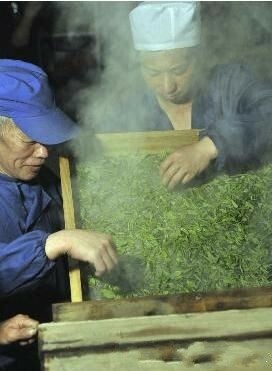 The leaves are reminiscent of gyokuro or sencha leaves, but are clearly processed with skillful Chinese hands. 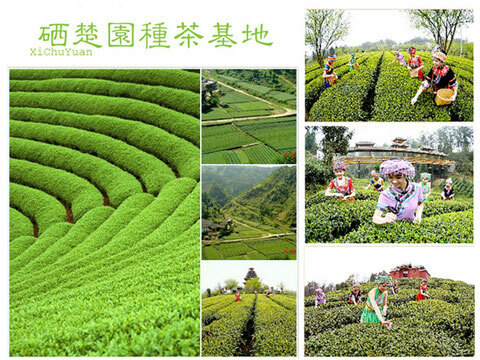 A good green tea with sweetness and floral taste. En Shi Yu Lu is also special because of its rich selenium content, an essential trace mineral that helps prevent cancer, cataract, heart disease, growth disorders and many other ailments. using less tea leaves and water temperature of 60-70°c for this tea.